Before the technique of knitting with two needles evolved, textiles with a very similar structure and texture were created by a technique known as ‘single-needle knitting’. Socks in this technique from the late Roman period were usually worked with the big toe separate, so that they could be worn with sandals. This piece was intended to cover the remaining four toes and was possibly worked to mend a worn sock. It was excavated from Christian burial grounds of the 3rd to 5th centuries AD, found in the present-day city of al-Bahnasa in Egypt. Single-needle knitting used yarn threaded through the eye of a sewing needle worked in the round through a series of loops. It was much more laborious and slower than knitting with two needles, as the yarn could only be worked in short lengths. Extra pieces of yarn had to be spliced on as the ‘knitting’ progressed. The section of a toe sock that would cover the 4 toes separately from the big toe, worked in brown wool in single-needle knitting. Worked in the round with increasing on one side. Gauge is 8 stitches and 14 rows per inch. 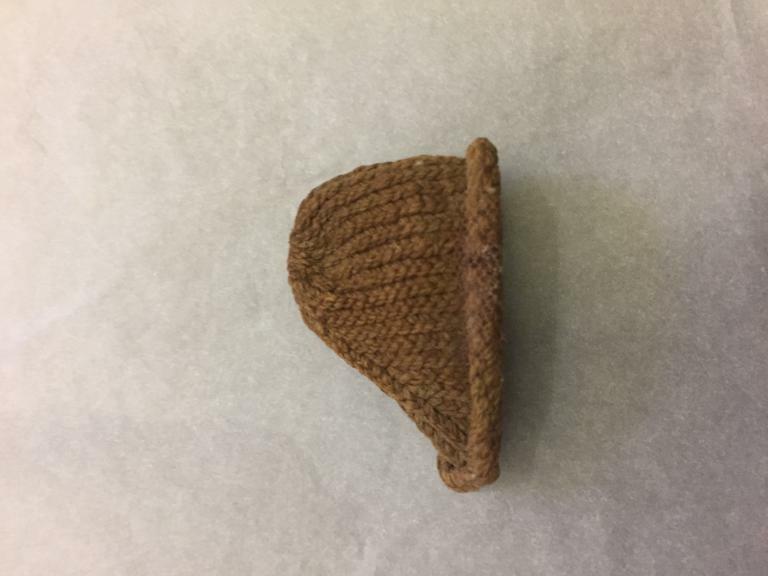 Possibly worked as a separate piece to mend worn toes in another sock? Width: 6 cm approx., Length: 3.5 cm approx. Excavated from Christian burial grounds in the late Roman city of Oxyrynchus (now known as al-Bahnasa) during excavations by the Egypt Exploration Fund during the winter of 1896/7. 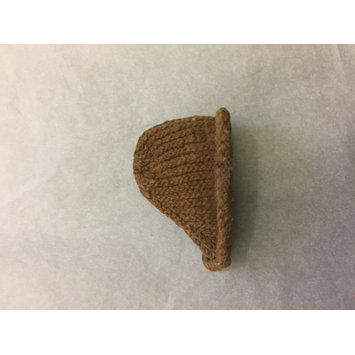 Historical significance: A rare example of single-needle knitting from the late Roman period.